Gordon Creighton - the Editor of FSR - told us about a sighting, which took place on the 21/22/June 1972, involving French student Javier Bosque, who was awoken at 2.00am by a powerful light flooding the bedroom where he was staying, at the Escuelas Escolapios Theological College, at Logrono, in North Eastern Spain. Rather than present the whole extract, which was covered in Flying Saucer Review, Volume 19, No. 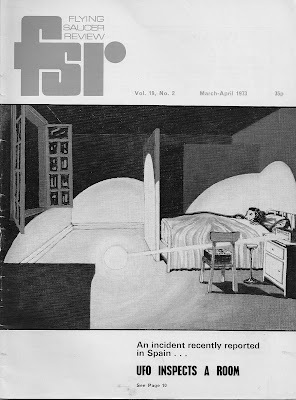 2, March/ April 1973, due to lack of space, we shall outline some brief details obtained from the witness, who was interviewed by Albert Adell and Pere Redon and which were then subsequently translated into English by Gordon.